They say the first step is admitting that you have a problem – well I certainly do – I’m a plantaholic! I should probably find another job, one where I’m not constantly tempted by new and beautiful plants, like the Colorific rose which followed me home the other day. This new introduction from Weeks Roses caught my eye when they began blooming at the garden centre, and soon I found myself visiting them several times each day, stopping to bury my nose inside a blossom to inhale the fragrance, and watching the flowers as they transformed through an exquisite range of colours. and aging gracefully to white and coral - now that's impressive variability! 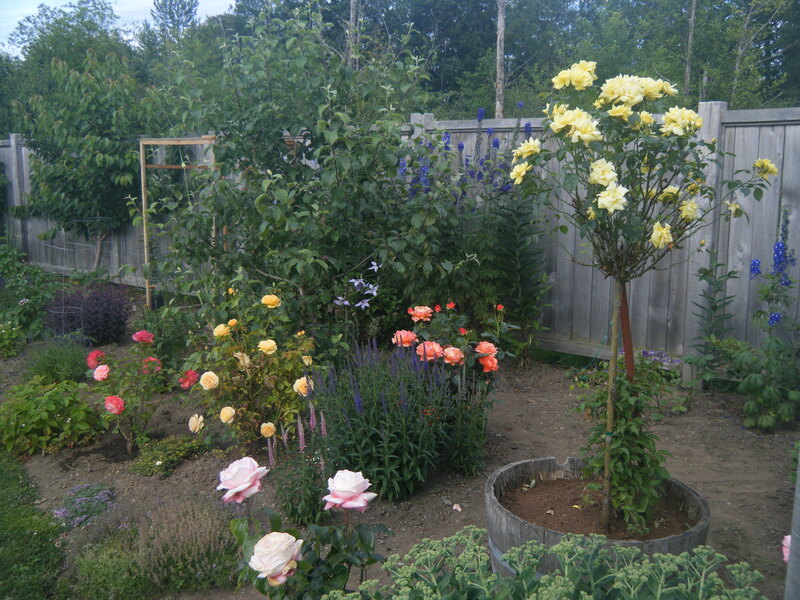 This entry was posted in Roses, Summer and tagged BC garden blog, Colorific rose, Roses, Vancouver Island garden blog, Weeks roses. Bookmark the permalink. And what we do without all the beauty we get to witness because you’re such a plantaholic? 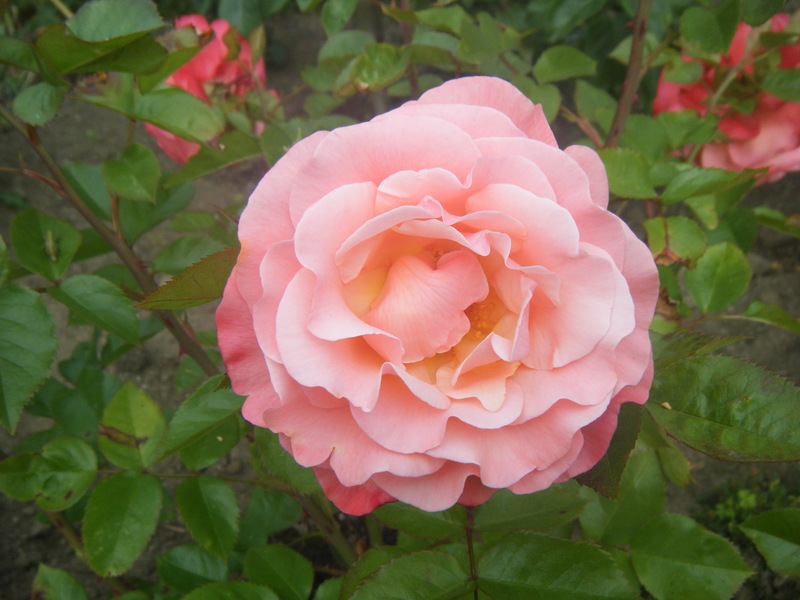 You have some gorgeous roses in your garden, and they all look so healthy. How do you do it? I think the biggest factor in my success is choice of varieties – I always look for disease resistance. After that I just pick a good, sunny spot, amend the soil generously with compost, manure and organic fertilizers, and top up each year. 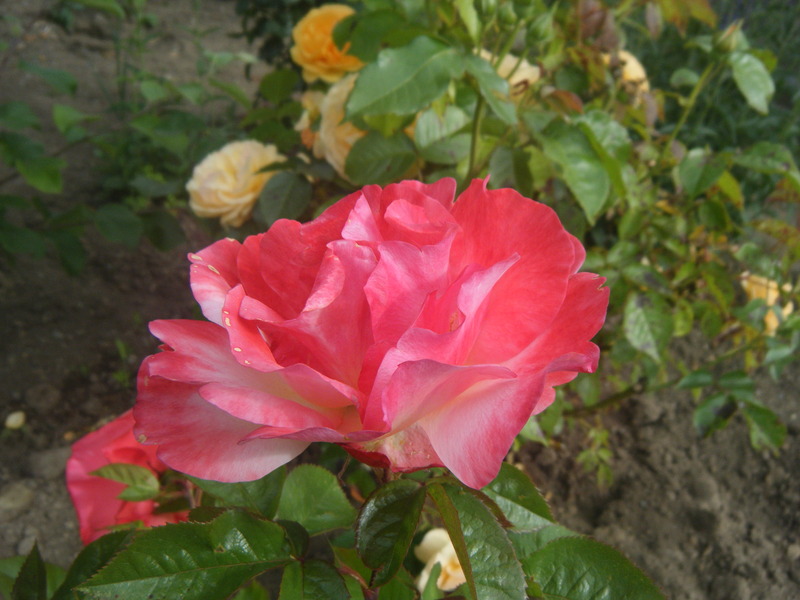 Your roses are beautiful and also the photographs of them. I would like to know if you answer questions about specific plants. I do have one for you if possible. I will if I can – what do you need to know? Your photo of Colorific has caught its perfection! My husband and I grow a lot of roses (200-300 in the ground as well as containers) and we always say we have No More Room! But Colorific caught our eye, too. 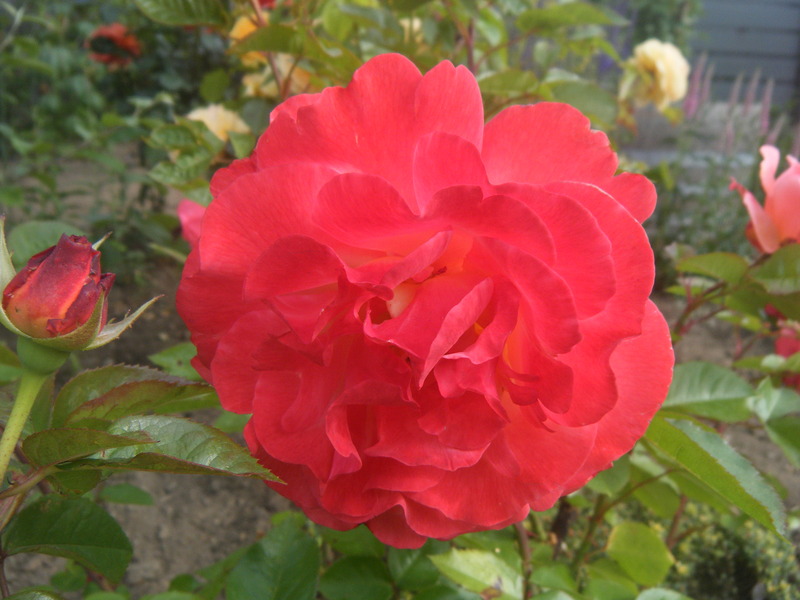 What a beautiful rose. We’d love to have you visit if you ever come out east to RI! 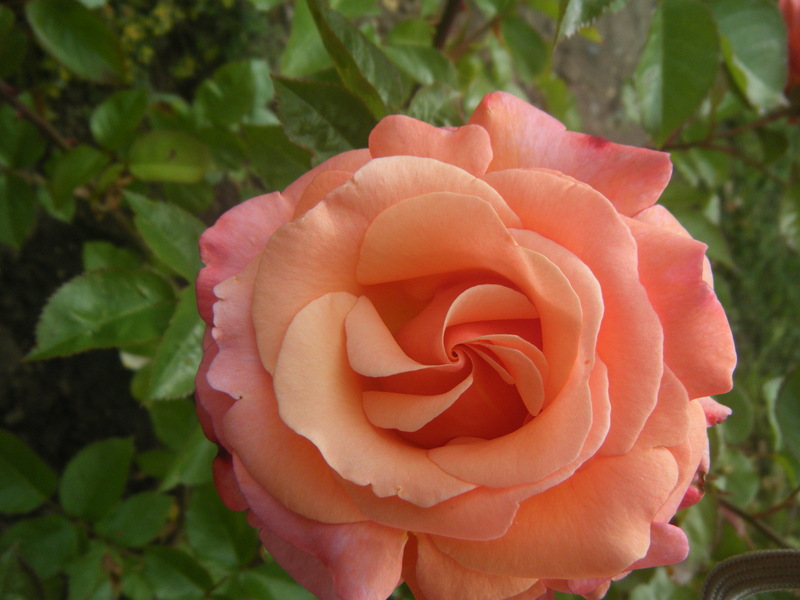 Wow, what a gorgeous rose! I might have to revise my dislike of “orange”, although this one read more apricot (and then turns into other things, too!). Really lovely. Yes, definitely not much orange – and only at the beginning. I love the second phase best, when it’s soft pink shading deeper at the edges – my picture doesn’t do it justice, must try to get a better shot. Gorgeous! I know the feeling. I have had a number of plants follow me home over the years. I know just how it makes you feel.